5 min walking distance to Queenstown mrt. 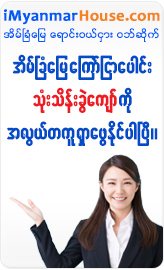 Free fiber broadband internet & home phone usage. Two Bathrooms with water heaters. One bathroom is attached toilet & other bathroom separate. Korea Parkay Floor, Nice, windy & clean room. Very convenient to go to all areas. 64 bus stop is in front of house. Near by food court, wet market & NTUC. 10 min to Polyclinic,MDIS & 5 min to swimming pool.